افق کے پار: میں عوام کے سامنے بٹلر نہیں بن سکتا ! It was the first re-union of the Corps of Pakistan Signals, in March 1954, and the finals of the Inter Regimental Hockey were being played at the GHQ Signals Regiment Rawalpindi hockey ground. General Muhammad Ayub, then the C-in-C Pakistan Army, was the chief guest. It was customary then, and may be the practice is still in vogue, to detail a local ADC from the unit for the visiting General as the unit officer was expected to be better informed of the local environs than the General’s actual ADC. I, a Second Lieutenant, was detailed to perform this onerous task and was introduced to the General on his arrival as such by our then Director of Signals, Brig. Zaman Janjua (an uncle and God Father of Asif Nawaz Janjua later General and the COAS Pak Army). I felt heavy over my shoulders for the task assigned but at the same time was looking forward excitedly to the best part of the job - to ride in the Chief’s car after the match, sitting in the rear all b y myself, and directing the chauffeur to take it to the JCOs’ mess where the General accompanied by the officers was to take a short cut on foot for addressing a Durbar and later attending the Bara Khana there. During the match I was seated immediately behind the General in the second row on an upright chair while the Brig. was sitting next to him on the sofa. After a while General turned his head half back towards me and asked for the cigarette. (For security reasons Cs-in-C did not smoke others’ cigarettes). I cranked my body rearwards and signaled the Chief’s big moustachioed and turbaned chauffeur for the cigarettes, raising my two fingers motioning for a smoke. He immediately produced a States Express Triple Nine (999) tin and the General taking a cigarette lighted it with his Ronson lighter. I felt pleased for having performed my first task efficiently and reasonably well. During the interval a mess waiter brought the tea for the General – a simple cup of tea and a few biscuits. While the General was helping himself with a drop of milk and half a spoon of sugar, I, without even getting up from the chair stretched myself a little forward and pushed the coffee table by the side of the General closer to him to place the teacup on it. “Since when have you started behaving like a butler in public?”. “Beg your pardon, Sir?” I stammered. I did not have the foggiest idea of what I had done. Having scolded me well and proper he melted away, leaving me aghast. Oh my God – that was some dressing down. I forgot all about the prestigious ride in the Chief’s limo – in fact I did not have the heart to ride in it anymore. I asked some one to explain the route to the driver and trailed behind the others towards the JCOs’ Mess. “Jaff, look after your guest (the General). Do any thing you wish here. This is your home and you are the host. Go and get him a drink”. Brigadier was clearly compensating for the reprove he had administered to a subaltern earlier that evening. Oh! Blessed be the Lord, he didn’t have to do it. But, how thoughtful, how fatherly, how magnificently compassionate of him ?! Second Lieutenant Jafri was immediately his old jovial self and part of the crowd. Brigadier had salvaged the spirits of a young officer. Time marches on. In comes January 1970. Preparations to stage the annual Horse & Cattle Show at the Fortress Stadium Lahore are near completion. General Amir Abdullah Khan Niazi is holding one of his daily adm conferences for the final fine tuning of the event. Shah of Iran was to be the Chief Guest for the Opening Ceremony. “Who will present the Shah with the scissors in the platter to cut the ribbon ?”, asks the General. All present look expectantly towards him for the *honour*. and then with a poignant pause, he announces, “ C O Signal Battalion”. “Sir, I am sorry, I cannot do it”. There is a hush. Everyone is w onder struck at such a response. 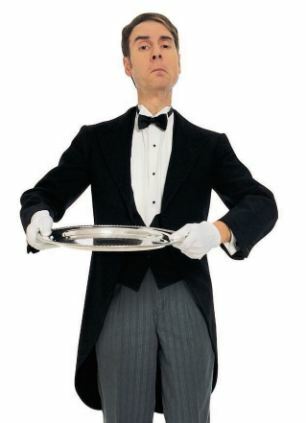 “Because, Sir, I cannot be a butler in public!” Replied Colonel Jafri calmly. Somewhere deep down in him Second Lieutenant Jafri had spoken out. Lt Col S. Riaz Jafri (Retd) was commissioned in a Signals Regt in Feb 1953. After the retirement, he has settled in Rawalpindi. Currently, he is the Vice Chairman of Pakistan Thinkers Forum..